I was asked lately for a program that could be used to build a low end website, just something quick. I usually would use Dreamweaver or a text based editor such as textpad but this person wanted an alternate to Dreamweaver and free! After a while of looking around I found a great program which is free and powered by Mozilla! The program is called KompoZer and I downloaded it and gave it a quick try out. I managed to make a quick website with pictures internal and external links and also adding the likes of tables. This was just with a quick 5 minutes of looking around. 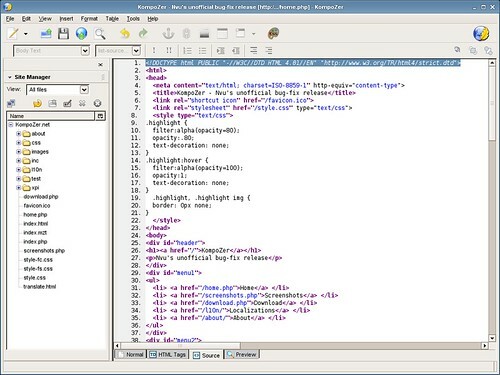 You can do a lot more with it such as create stylesheets and the program allows for code and design editing views and also has a preview section of what your site looks like. It is a great program, especially for free! 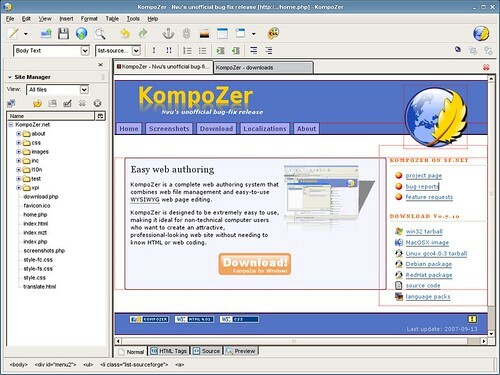 And if you have used Dreamweaver before you will see some similarities in KompoZer. If you want to download it you can go to the site here. Last Wednesday (October 27th) I was up in Dublin to go and see Marina & the Diamonds live in Vicar Street like I mentioned back in May. It had been a while since I last went to a concert and I was really looking forward to this one. The name of this tour was The Burger Queen Tour 2010. I drove myself and two of my friends up to Dublin, and then met another friend in Dublin. The doors opened for the gig at 7.30pm and the concert itself was due to start at 8.30, we arrived shortly after 7.45pm and got really close to the stage, not that it is a very big venue as those of you who have been there before will know! Marina came onto stage at about 9.30pm after the support act. Marina was excellent, she has an incredibly strong voice and sounds just as good as you would expect after listening to her CD, usually a lot of artists have some alterations made to their voice when recording to CD, not in this case. I managed to record a few videos, two full videos which I have uploaded to YouTube and these are them below. The video quality and sound came out extremely well, especially considering I recorded them from the iPhone 4! The second video is the last song that was played, it takes a while to get into it, the music you hear for the first 1 min 40 is just while Marina was away to get changed. Marina also played a “New” song, called Jealousy, I say “New” because it is not on her album, however if you have her E.P from before she got signed then you would of heard it before, unfortunately you cannot buy these at the moment, but I don’t mind because I have them :). Someone else that was at this concert recorded that song so here it is below too! I think it’s a great song.